Learn how to crochet 3D cord, crochet cord with two braids, free crochet cord patterns, how to make crochet braids, crochet braided cord. 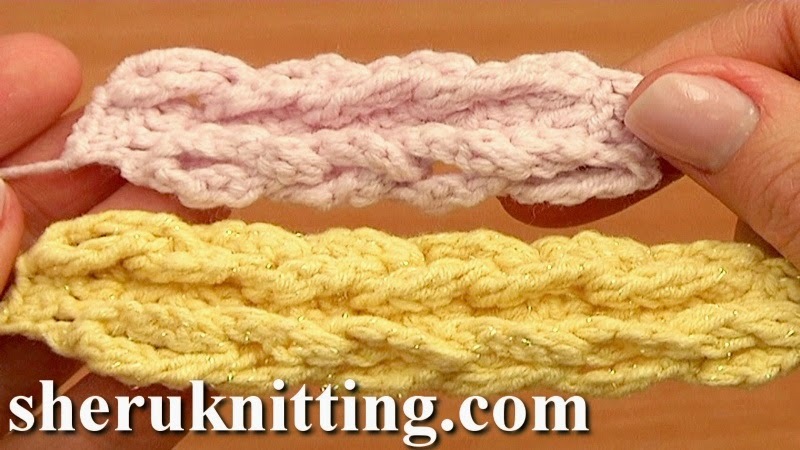 Easy to crochet cord with two parallel braids. To make the cord the desired length you need to keep repeating only one row over and over again. Once you crocheted a flat cord of double crochet stitches that has loops on sides make braids of these loops simply by passing each loop over the next one all the way across the cord. This cord is fun to work on! Thanks for watching!